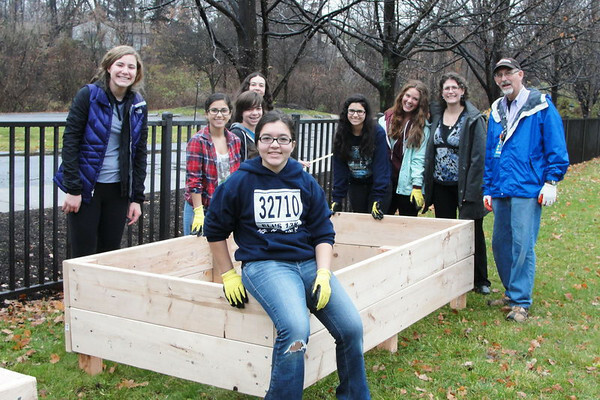 The Social Action Committee at Adat Shalom is involved in a wide variety of “hands-on” activities. We believe that through our efforts, we not only help the less fortunate in our community but also educate our congregation about community needs and our social responsibility. We offer volunteer opportunities for all ages and interests. Housing the Homeless is an important annual project, when we host individuals for a week through the South Oakland Shelter, providing them with a place to sleep, eat and transportation to and from the shelter. We participate in additional activities benefiting both the Jewish community and the greater Detroit community. Adat Shalom is a leader in the annual Yad Ezra Kol Nidre Food Drive, the largest food collection of the year for Detroit’s only kosher food pantry. We extend a hand to the greater Detroit community through our semi-annual Red Cross Blood Drive held at Adat Shalom and by pitching in on Christmas Day at social service agencies in the community to let the workers take the day off to celebrate their holiday. We provide meals for Ronald McDonald House three times a year, serving the clients personally with a homemade meal. Additional projects include the Mitzvah Crib – collecting baby items donated to Jewish Family Service’s Healthy Start program and knitting projects for those in need. Our “Social Action in Action” column in The VOICE lists information about upcoming programs.